Vertical rock cliffs, lush on one side and arid on the other, face plains cut by rivers in an area diverse in geology and plant life. 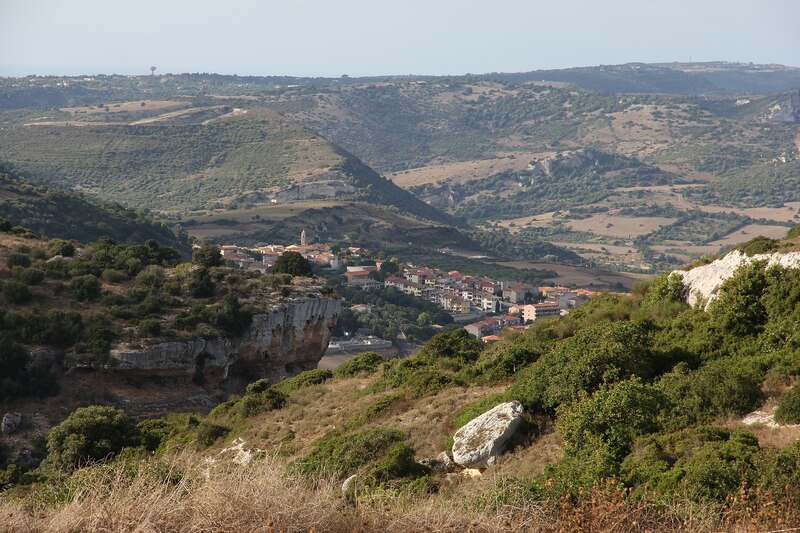 This is the setting of Muros, a village of 800 inhabitants stretching at the base of Mount Canechervu in the Coros (north of the Logudoro area). Here, meadows pass into downy oak forests in Rocca Ruja and common oak forests on Mount Tudurighe, such as the Sa Crabola forest. It is the home of a strawberry tree twelve meters tall, of Badde Olia, a large holly oak grove, and of Pentumas, the only cork tree grove. Poplars, ashes and willows dot the shores of the Mascari river and in the spring, broom shrubs light up the slopes of Mount Frundas. 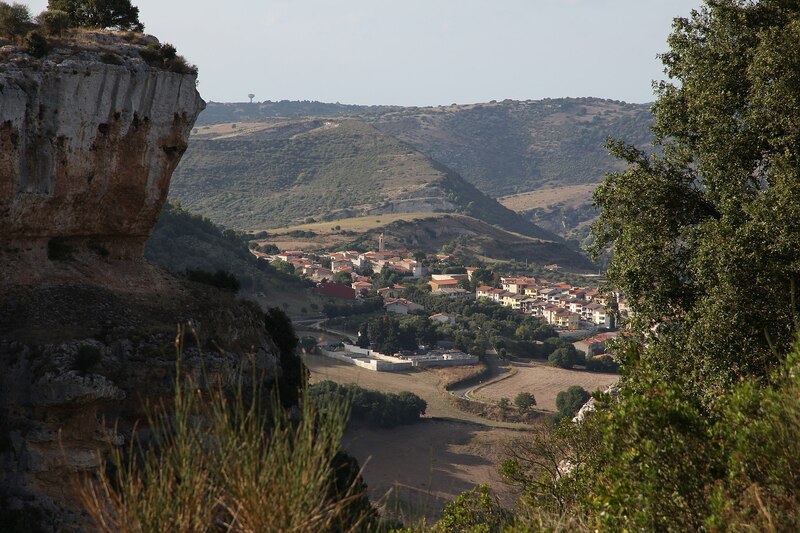 The town dates to the Medieval period, when its territory was occupied by three villages: Muros, Irbosa, which may have been a Roman settlement, and the villa surrounding the now gone Church of San Giorgio. 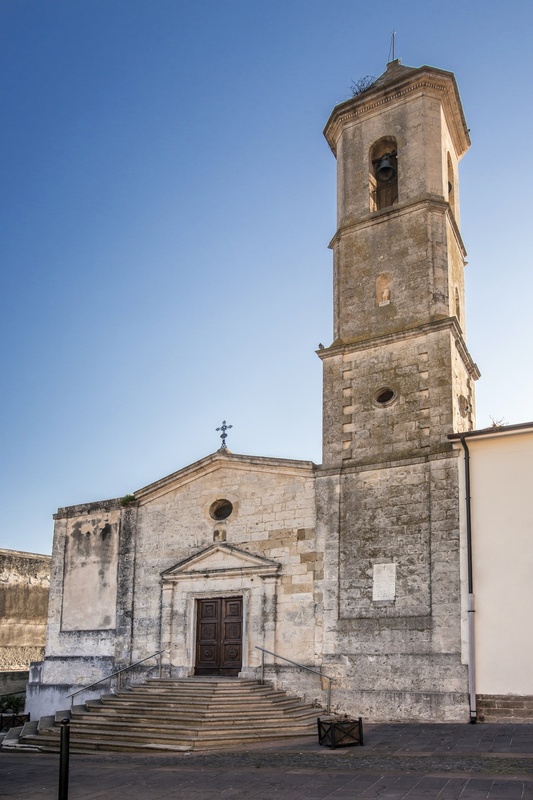 Today, the Parish of Saints Gavino, Proto and Gianuario (16-17th century), housing an altarpiece with the three martyrs of Porto Torres, draws the eye in town centre. Other sites of interest include a 19th century public water fountain and buildings dating to the Aragon and feudal periods, late 19th and early 20th centuries. Muros is a town of traditions as seen in its dress, bread and festival sweets: su cozolu ‘e s'ou, amaretti and formagelle for Easter, papassinos and tiriccas for the Feast of All Saints. The town has always been a required stop during travel through the gorge cut by the Mascari river, between the green mass of Mount Canechervu and the rugged Mount Fenosu. Today, the area is crossed by SS 131, Sardinia’s main transport artery. Driving along this highway a few kilometres from Sassari, the sight of chimney stacks and other examples of industrial archaeology never fails to impress. In the 1950s and 70s, the town saw intense industrialization thanks to the Scala di Giocca cement factory. In 1823 a Roman milestone dated to 67-68 AD and marking a distance of 16 miles from Turris (Porto Torres) was discovered in the area. It is now housed in the G.A. Sanna Museum. Burials and deverticula (secondary roads) would have been in the area as well. The earliest evidence of human activity in the area, seen in the Grotta dell’Inferno (Cave of Hell), dates to the early Neolithic (6000 BC). The mid Neolithic period is represented by an 11 cm-tall female statuette: one of the oldest examples of Sardinian art, also on display at the Sanna Museum. Late Neolithic is represented by a necropolis of five Domus de Janas cut into Mount Terras, and the nearby domus of Mount S’Isteri. Sa Turrìcula is a rare example of an early Bronze age settlement. Two nuraghe within eyesight of each other, Turrìcula and Santu Giorzi, and the Giant’s Tomb of Monte Simeone are located nearby. Nuraghe Turrìcula was used as a cultural space during the Punic and Roman periods. By Rocca Ruja, there is a hypogeum cut into the rock with an artificial façade. Set halfway between Domus de Jana and a Giant’s Tomb, it dates to 1300BC. A cave coated in concretions exits here as well.